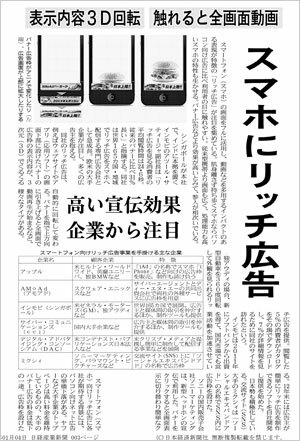 InMobi appeared in the top story of Nikkei Newspaper’s January 1 issue. 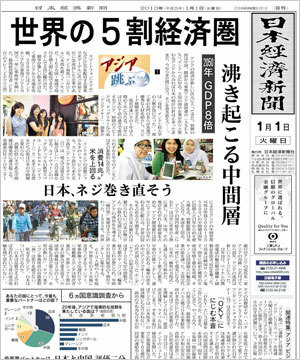 InMobi appeared in the top story of Nikkei Newspaper’s New Year’s Day issue. Nikkei Newspaper is one of the most prestigious business newspapers in Japan. In the article which featured the story on the booming economy of Asia, InMobi was introduced as a company from Asia which succeeded globally in the past few years.